New 2751 SF walkout ranch in established family neighborhood of Brook Run Village. 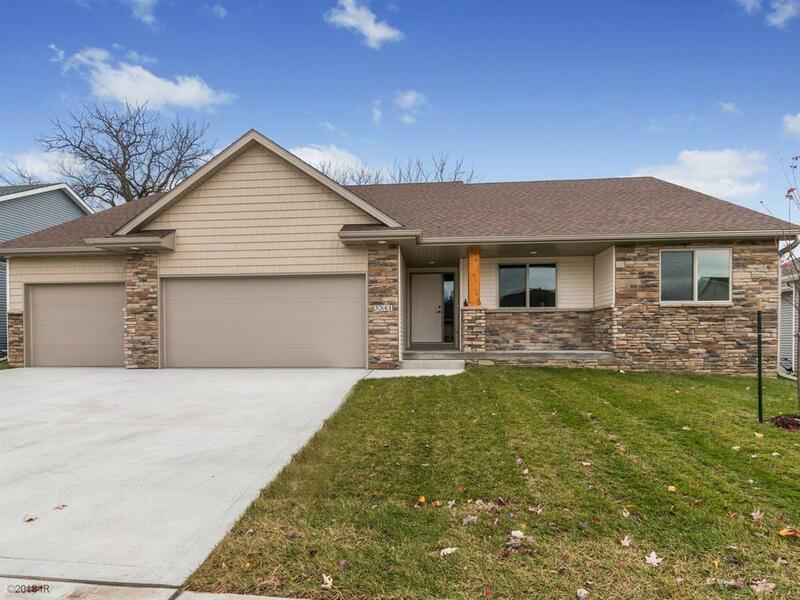 The 3 car garage opens to a mud room with tile floor, W/D hookups, lockers & sink. The kitchen, family room & dining area all have 10' ceilings. The open kitchen has a large walk-in pantry the family cook will love. A 16'x9' dining area opens to a partially covered deck. Family room with direct vent gas fireplace completes this spacious, functional family living area. A master suite with cove ceiling, bath with double vanities, full tile shower and huge walk-in closet is the perfect retreat. Two more bedrooms with walk-in closets complete this level. Lower level includes rec room, additional bedroom and full bath. 6 year incremental tax abatement, SE Polk Schools and close to all Des Moines has to offer.